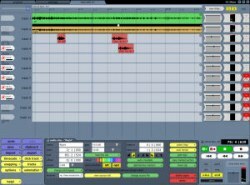 After receiving an email from Mackie stating that the long-awaited version 2 of Tracktion (T2) was available as an upgrade, I investigated further. With the full price of T2 noted as $199 (approximately £105 at the time) but with some online retailers already reducing this to $149 I wondered how much the upgrade would cost, thinking that, at the least, it would be around $50. So it was rather a shock when I read that it was only $20 (£10.54). Ok, so there is a small catch: the full version of T2 came bundled with a whole selection of plugins - though some of these are freely available, anyway - while the $20 upgrade gave you just the key to unlock the downloadable demo. Adjustable screen layout/size - hoorah! You are no longer limited to having Tracktion taking up your entire screen area. Additionally, for users with two (or more) monitors, T2 can be stretched over more than one monitor. Coupled with the addition of side panel controls that allow the input and filters panels to be hidden, you've now got far more control over the use of the screen. Per-track input - hmm, this is just an alternative way of assigning inputs to a track - maybe the old way of dragging an input to a track was confusing some people. Not a ground-breaking change but if it helps people use the system then all well and good. For those that prefer the old way then that's easily reinstated by removing a tick on menu from the options button. 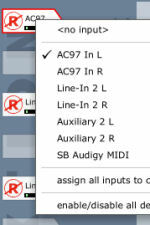 A better MIDI editor - something T1 users had been clamouring about for a long time. If I had one main argument about T1 compared to the old Music-X program on the Amiga then it was the ease of editing MIDI. T2 addresses much of this with its complete redesign though I can't help thinking that Music-X was still just that teensy bit easier (I no longer have an Amiga and, last time I tried, Music-X seemed to crash most Amiga emulators). Mixing down can now be done at 64-bit/192kHz which can reduce distortion. Many devices now coming onto the market are capable of handling 192kHz signals. Proper sends and returns - commonly available on other software and hardware sequencers/recorders, these were completely missing from T1 - a welcome addition. QuickTime support - yep, T2 can synchronize audio to video - opening a MOV file you will find that the Tracktion transport controls will sync to the video. This is not an area that I am particularly interested in but, no doubt, others will find it indispensible though there may be comments about the lack of compatibility with other formats such as AVI or MPeg. Loop recording - about time too! A manual - yippee! Well, two actually. Given that T2 is now also available as a boxed product this has, of course, become rather essential. At 76 pages the user guide is probably rather slimmer than manuals for the 'heavyweight' sequencers such as Cubase SX and it could be argued that, with Tracktion such an easy package to use, it doesn't require anything larger. However, it would have been nice to have an index and I hope that Mackie decide to add one in the next revision. In addition, there is also a reference guide, a slightly meatier beast at 108 pages that goes into more detail about all aspects of getting the best out of Tracktion but, again, no index. The downloadable versions of these manuals are in PDF format and do have proper chapter bookmarks. So, is it worth the $20 upgrade? Damn right it is, and anyone who, after deciding to go the Tracktion route, waited until T2 came out before purchasing is probably now kicking themselves silly! Please note that I have not upgraded to V3 - this isn't any sort of comment on that version. It's just that, for a few years, I no longer had the time to actually do much in the way of music. Since then work on the product seem to have unfortunately come to a halt which suggests that it would be foolhardy to spend money in upgrading to that version. May 2013 - it's back! Not only is Julian Storer back in command but the price is back to pre-Mackie levels with an upgrade price for T2/3 users of around £20 to T4. Since then it's been evolving again and, as of late 2016, is up to version 7!